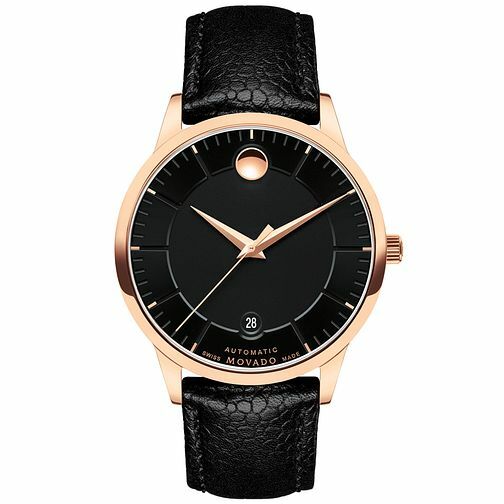 This sleek men's 1881 watch perfectly exhibits Movado's signature minimalist style. Crafted with a classic black leather strap and sturdy rose gold-plated case, the jet black dial simply features slim rose gold tone hands and the iconic dot motif at the 12 o'clock mark. A bold yet understated timepiece that's ideal for his everyday.